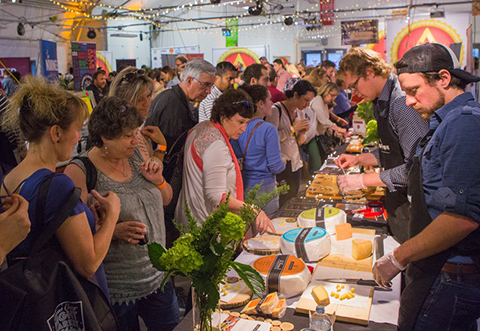 Fromagerie Montebello is dedicated to producing distinguished cheeses with passion, and its commitment has been rewarded with numerous awards, including medals at the World Cheese Awards and the British Empire Cheese Show. Fromagerie Montebello’s line of celebrated cheeses includes Adoray, a soft, surfaced-ripened cheese made with pasteurized cow’s milk; Rebellion 1837, a semi-soft, blue-veined cow’s milk cheese; Tête à Papineau, a semi-soft washed-rind cheese made with cow’s milk; and Manchebello, a firm cheese made with pasteurized ewe’s milk. Fromagerie Montebello’s cheesemaker is Alain Boyer, who learned the art of cheese making in Piacenza, Italy and always dreamed of opening a fromagerie in Quebec. 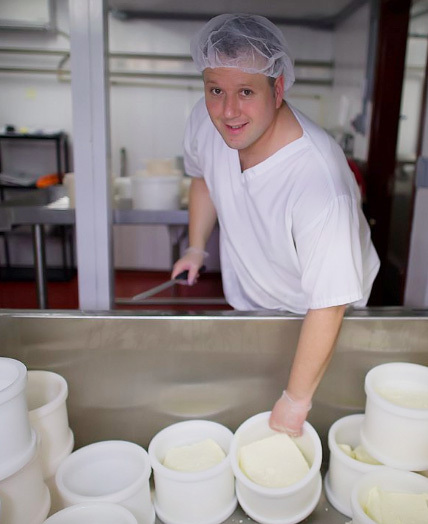 That dream became reality in 2011 when he partnered with Guy Boucher, an accountant, to open Fromagerie Montebello. 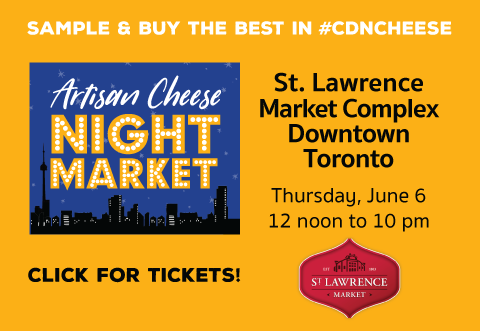 Taste and purchase Fromagerie Montebello’s award-winning cheeses at The Great Canadian Cheese Festival.